It's Girls' Day in Japan, which gives an excuse for all the older sister types to fawn all over precious Illyasviel. Sakura, Rider (Medusa), and Rin all joined in. 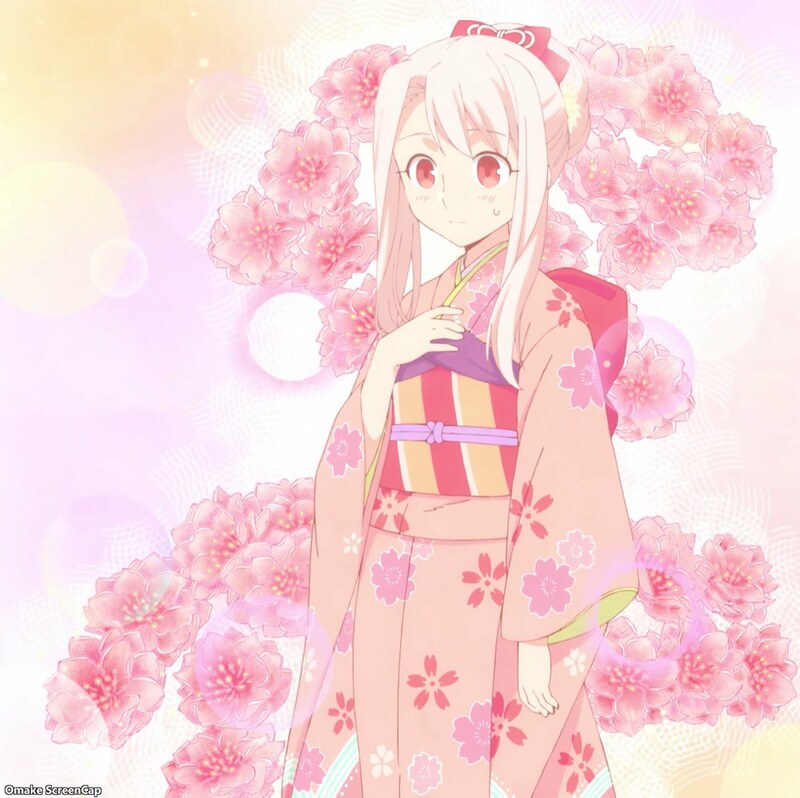 First thing to do was get Illya dolled up for the Doll Festival! 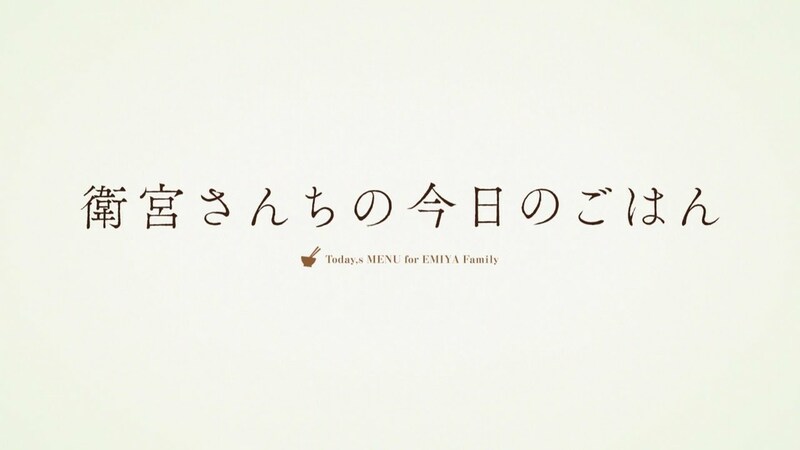 That was Taiga's job. 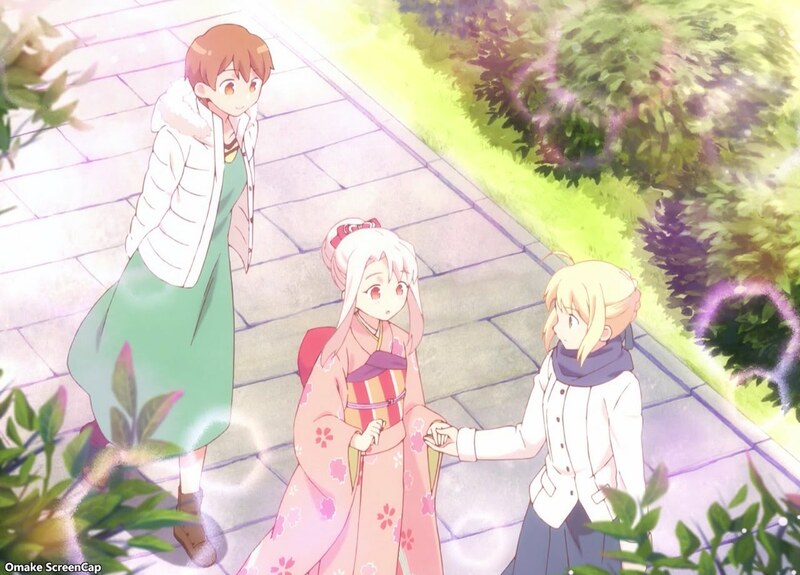 Saber helped by holding her hand as she walked back to Shirou's house. Illya was impressed by the well done preparations. Saber's meticulous preparation was finding a cushion to sit out of the way! Sushi cake and vegetables cut like flowers were all part of the meticulous decorations. Illya thanked her big brother, eliciting jealous starts from the big sister types in Shirou's orbit.